A few weeks back, I sent an email to Carla Sagan, a local band partially responsible for “Supermoon Lunar Eclipse,” the recent Egg Paper Label release that has been sitting at the top of CKUT’s weekly chart as of late. 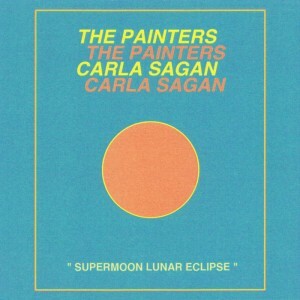 I had listened to the EP and loved what I heard, so I decided to follow up on a rumour about the members of Carla Sagan being students themselves. Lo and behold, this proved to be true. Last Sunday, I got the chance to interview the group across from their practice space in Mile-Ex. 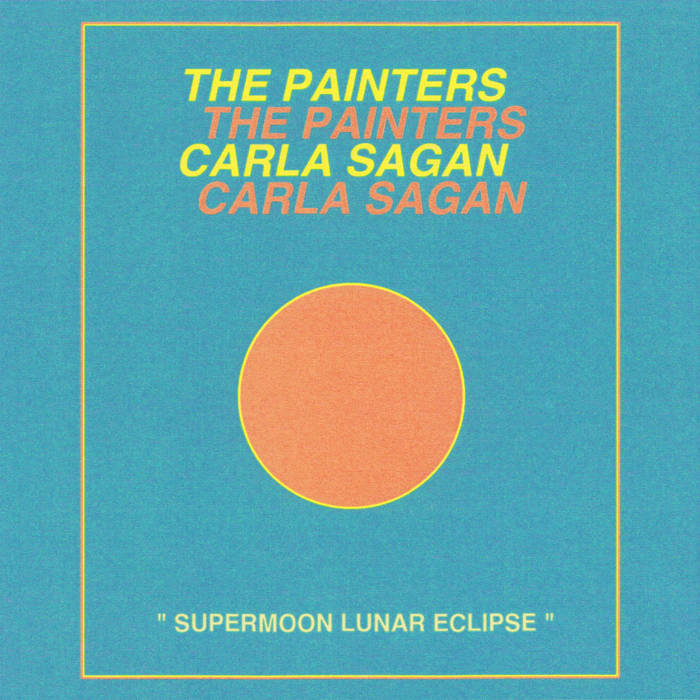 The four members of Carla Sagan and I chatted about the intersection of academia and musicianship, the success of “Supermoon,” and what the band has planned for the upcoming summer. N: So if you could introduce yourself: your name, your role in Carla Sagan, and your association with academia in Montreal. Claire: I’m Claire – I’m currently doing a Masters of Science at McGill in the Urban Planetary Science Department. I played keyboards and sing sometimes in the band. M: I’m Mariah – I did urban geography and also communications at Concordia. I graduated 2 years ago, and I play keyboards and bass. B: My name’s Bennet. I play drums in the band – I’m a relatively new addition but enjoying it very much. I’m currently finishing a degree in electroacoustics and I’m an independent researcher in mechanical engineering with a musical intentions. I develop manufacturing tools for musical instruments and record cutting blades and so on. Chris: My name is Chris, I play guitar in Carla. I graduated a year ago from McGill in chemical engineering, and I’m studying French right now. N: Sweet! So, my first question is about the nature of the EP. How did you decide to do a split EP? Have you done work with the Painters before? N: Right. I mean, I’m probably just a novice, but I had never really seen a split EP and I thought it was a really cool idea. So you said that you knew the group before, how did you get associated with the Egg Paper label? Claire: I guess we’ve all known the people that run it for a few years, just from being into the same stuff, going to the same shows. We knew them before Egg Paper was a thing. It’s not like a professional relationship. N: Okay, gotcha. Have you done any other work with Egg Paper artists? M: We did the Pop Montreal Egg Paper Showcase. That was fun. Claire: That was with Un Blonde, Whitney K, the Submissives and Cindy Lee, who isn’t on Egg Paper. N: As far as I know, this is your first major release. What do you think that means for you as a band? Claire: It was nice to have someone else do all the stuff outside of just writing and playing songs. I mean, the reason this interview is happening is because Josh mailed stuff to all the radio stations. N: Right, exactly. So it’s just on a larger scale. Claire: It was the kind of thing we probably wouldn’t do ourselves. N: I guess Egg Paper is able to provide the resources to have a larger reach with what you’re doing as well. B: On that note, given the tie to the theme of the interview being “academia”… being academics seems to really reduce the amount of time you might have to do certain things. N: Oh, I know exactly what you mean. B: It was absolutely essential to have support from a label. Otherwise, we’d just be overwhelmed and not be able to do anything. N: Okay, I have some other academia questions. This one is specifically towards Claire: as a Masters student, how are you doing all this? I mean, just the nature of your degree is so isolated from the creative process. Do you ever find that it’s difficult to find space for both? Claire: You need to have both things. Not that science isn’t creative and doesn’t require creative thinking, but thinking about sounds and aesthetic stuff isn’t something I do. So it’s nice to have both to not be in one mode of thinking all the time. But it is very hard to balance it sometimes. I guess the secret, like with anything, is just planning and scheduling your time. N: Good point. Okay, broader question: I know that some of your fields of study kind of overlap with music. Do you find inspiration from your academic pursuits in your creative process? B: Indeed. For me, that’s a pretty clear connection, because I study electroacoustics and music composition and so on. So I’m always thinking about music and how it can be optimized for whatever I want to do in that way. Chris: For me, being in lecture and starting to drift off or getting bored by something. Eventually, my mind starts to wander and sometimes I’ll just hear a melody. N: So kind of getting inspired by being bored in class? I like that. As you’re moving away from the academic field or reaching the ends of your degrees, are you finding that transition is affecting your life as a band or your position in the scene in Montreal? B: Well, for me, it’s opening a lot of doors and opportunities in terms of what I’m available to do. For example, we’re getting ready to go on a little tour here in Montreal in two or three weeks, and that’s right at the end of my degree. The only way that’s possible is that I’ll be done. So in a way, it’s going to let me immerse a lot more than I’m already able to do right now. N: It would definitely open up space in your schedule. N: Right. From now on you’re professionals. I guess I caught you at the perfect time. Claire: I feel like I’m at the beginning of my academic career. Once you’re in grad school you have to start thinking about going to enough conferences, writing enough papers. N: So kind of an interesting intersection. You’ve had this really great success with your first EP and just entering the academic field at the same time. A new beginning, kind of. N: It sounds like a lot. I guess my final question is: Do you have upcoming events? You said you’re going on a tour; do you have any details about that? Claire: They’re on Misery Loves Company. The tour’s around this D.I.Y festival in Fredericktown called Flourish. So we’re doing that, and then a couple East Coast. We’re playing in Montreal on April 17th at La Plante. That’s like our tour kick-off. B: And then after that we’re playing that festival in Ottawa. Claire: Oh, yeah. We’re playing the Ottawa Explosion too. Claire: Yeah, we’re excited for that. B: And then amongst that, we’ll be starting new recordings. N: You’ve got a big summer coming up. Do you have any idea what you’d like to get out of your next recordings? N: Yeah, sorry. To wrap it up, I’ll just give you the biggest question of all. Claire: We’re very excited to record our new songs. Egg Paper did a really good job on the recordings, but those were actually done like, 2 years ago. So we’re excited to have something new.